This is the second installment of a series probing the issue of joint vs. separate money in marital and cohabiting relationships, inspired by the great discussion in the comments of my slippery slope of separate money post. In each post in this series, I review the methodology and major findings of a paper in the field and then discuss how my husband and I fit into the results. I encourage you to share your reactions to the paper in the comments! Lauer SR, Yodanis C. 2011. “Individualized Marriage and the Integration of Resources.” Journal of Marriage and Family 73:669-683. The authors evaluated their hypothesis that the trend toward individualized marriages is encouraging more independence in money management within marriages using data collected in 2002 concerning changing gender roles in 31 country contexts. What is “individualized marriage” and why might it affect money management style? Spouses in more individualized marriages have decreased specialization of tasks such as income-earning and household maintenance duties so that they “maintain their individual identities and independence in the context of their relationships” (p. 669). This is in contrast with companionate marriage (or what some might call “traditional marriage”) where in “husbands and wives were an integrated unit, with each spouse specializing in a societally defined role” (p. 670) i.e. the male breadwinner, female homemaker model. With the rise in social acceptance of cohabitation and out-of-wedlock births/parenting, marriage has become one option among many possible life paths that may or may not include coupling, and these trends may influence money management within marriages. “Individualized marriage includes new understandings of entering and exiting marriage… Partners maintain their individuality and ability to leave the relationship and avoid arrangements that would make it difficult to end the relationship when it is no longer satisfying” (p. 671). An individualized marriage would include two income-earning spouses who negotiate familial roles and are competent in a wide range of tasks. In companionate marriage, pooling is the most popular money management system by far. The authors hypothesized that money management systems in more individualized marriages would tend to be more independent (partial pooling or independent management, as we discussed last time). The survey sample included over 18,000 individual respondents over 31 country contexts. The outcome variable was how the individual scores on a question of money management. The reference category was pooling, with independent management and partial pooling also distinguished. 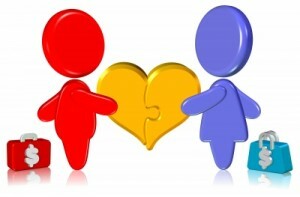 The authors examined many individual variables that suggest where the couples would fall on a spectrum from companionate to individualized marriage. They also examined institutional-level variables that “captured the common practices in the couples’ contexts and how these dominant practices may have shaped couple dynamics” (p. 674-675), namely the extent to which marriage is individualized in a country and the extent to which alternatives to marriage exist. The authors used a multilevel logistic regression to pull out which variables significantly affected a couple’s choice to use partial pooling or independent management systems. Pooling was far and away the most common money management style – 83% pooled all their money, 11% used partial pooling, and 6% kept their money separate. “Overall, there was strong support that couples who saw their marriage as individualized were more likely to keep their money separate than couples who did not” (p. 676-677). As for the institutional-level variables, “as the institution of marriage was more individualized at the country level, couples were more likely to keep some of their money separate” and “married couples living in a context of with a higher prevalence of individualized alternatives to marriage were less likely to integrate their resources” (p. 679). In the discussion, the authors suggested that the partial-pooling model, rather than the individual management model, may be the one that best reflects the individualized marriage, which “would help explain the stronger relationship we found when comparing partial-pooling to complete pooling approaches” (p. 680). The authors’ final point is that, given that pooling is still the dominant money management model within marriage, “it is also possible that the lack of individualize money management strategies in marriage may reflect a lack of individualization in the institution of marriage” (p. 681) because marriage is still characterized by integrating practices “such as having at least one child, sharing a last name, sharing a residence, and a gendered division of work” (p. 681). It seems that married couples are largely still choosing practices that have characterized marriage in the past despite some trends toward individualization. Do I have an individualized marriage? relationship-specific investments – We have no children and are both working and earning about the same income. continuity – I would have pegged my relationship satisfaction as a 6 or 7 (slightly above the 5.7 overall average). I am a 1 on the “support for divorce” scale (Kyle is a 2) whereas the average is 3.58 (of 5). individualized marital practices – We have a pretty nontraditional division of labor; we basically take care of our food separately (except we grocery shop together) and spilt the cleaning chores according to the task (I do more daily picking-up, Kyle does more infrequent deep cleaning). We settled into our household division of labor pretty early in our marriage so we don’t really fight about chores often – probably a 1 on the 5-point negotiation scale. I think this is would be typical for DINK(Y)s. Neither of us does small repairs because we are incompetent apartment-dwellers. support for individualized alternatives to marriage – I’m not sure how the authors expected most of these variables to correspond to individualization so I can’t assess us on these metrics. I think as Kyle and I age our marriage won’t fit quite as well with the individualized definition, particularly if I stop or cut work for a while after we have kids. If that happens, our division of household labor will probably become quite traditional and the relationship-specific investments would obviously change. We’ll still pool our money, though! What would I like to know now? What I’ve really been searching for is how relationship satisfaction is affected by money management choice, and this study included a family life satisfaction metric. Partial pooling and independent management were both associated with reduced relationship satisfaction (the larger effect for independent management). However, this does not show causality, so it doesn’t really help answer the question of whether separation of money tends to reduce relationship satisfaction (as opposed to being chosen by couples already experiencing reduced relationship satisfaction – or some conflation of the two). Causality is very difficult to determine even in longitudinal studies. I am also a little suspicious of how the authors characterized individualized marriages using the survey. I don’t think the survey was written with individualized marriage in mind, so the authors had to go through the questions available to them and choose which ones would indicate individualized marriage. Perhaps there would be better or more pointed questions to assess individualized marriage instead of going through all these indirect indicators. And adding in my anecdotal bias, I don’t think Kyle and I fit the qualitative way individualized marriages were described in this paper although we do have an egalitarian marriage, so perhaps there is a better way to score individualized marriages (attitudes over practices?). What I really want to know is how to improve marriages (including mine), and money management seems an important component given how often it is cited as the primary cause of divorce. Statistics are statistics – they aren’t determining but they can provide some information. The introduction to this paper seemed to indicate that having an individualized marriage would result in more marital dissolution (“fluid relationships” (p. 669)) but that wasn’t substantiated in this study or specifically through references. There wasn’t a furthering of conversation about whether the reduction in marital satisfaction associated with partial-pooling and independent management is predictive of increased divorce rates, though I might be able to find that elsewhere in the literature. Basically, this wasn’t a terribly useful paper in terms of inspiring behavior change (slight support of pooling, but non-causal), although it was interesting to find out that I have an individualized marriage – whatever that means! Do you (anticipate) have(ing) an individualized marriage and what is your money management system? Are you surprised that pooling is still so popular even given the trend toward individualization? What further questions do you have regarding to this study? 26 Responses to "Joint and Separate Money Series: Individualized Marriage and Money Management"
I suspect their hands were tied since they didn’t commission their own study, unfortunately. I didn’t follow up with the references, but in the paper there wasn’t anything about why these questions were chosen and how well they fit with/covered the definition of individualized marriage. Interesting. I am in the same boat as you – much more “individualizing” by their criteria, but also thinking of my marriage as covenantal, not “as long as love and intimacy last”. This just makes me more curious about a more qualitative study exploring the relationship between the two, since they assume practices (division of household labor, distribution of incomes) to be bundled with attitudes (marriage as interdependent, divorce as ok or not, etc. ), but I’m sure it’s much more complex than that. It’s possible that one or more of the references regarding individualized marriage has explored that, but since I’m more interested in the money management part I’m not planning to follow up. Seeing that this study spans over 31 countries gets me thinking about the economic context of marriages outside of the US. For instance, does the USA’s relative lack of state-funded social services such as health care and pensions affect the willingness of women to enter/exit marriages/pooling/stay-at-home agreements? i.e. giving up one’s career to raise the kids might be financially riskier behavior in some places than others. Maybe our tax/alimony laws make up for it? Us income tax-laws seem to encourage the stay-at-home mom model. At the very least, US law makes it very expensive for a bread-winning partner to divorce a stay-at-home spouse. The paper did mention how social institutions have affected the transition from institutional (economic, arranged between families) to companionate to individualized marriages, though it didn’t say specifically how the policies of the US differ from other countries. The study did pull out Finland and Sweden as countries furthest along on the individualized marriage spectrum to look at their money management factors, but it didn’t go into detail about the social institutions. I don’t really know about divorce law (which I guess varies state-by-state anyway) but my impression is that 1) US workplace policies are comparatively unfriendly to working mothers in terms of flexibility and leave and 2) in many places in the US people believe that the cost of living is so high as to make single-income families impossible to maintain. Kind of a rock and a hard place in some areas. This is interesting–the relationship between economic context and marriage “style.” I suppose I had recognized economics/governing laws affects family choices (e.g., in Sweden, with a tax rate over 45%, all parents have the option to take 16 months of maternity leave per child), but I hadn’t thought about the effect it has on one’s marriage, per se. Identifying a link between policy and marriage quality/divorce rates/some other quantifying metric would be interesting. Although, regardless of policy or marriage “style” I think the individuals in the marriage and their perspectives ultimately make for a “successful” marriage (another term with an open-ended definition). In other words, we can’t blame or credit the system or the style for the marriage (dis)satisfaction. I bet that’s been studied, though not directly by what I’ve been reading. I think I read in one of these studies that marriage and divorce rates are lower in Sweden than in the US, but the relationship dissolution rate is the same when you include the long-term cohabiting couples. I actually do think the cultural context of marriage would have an impact on satisfaction and divorce rates. I don’t think our marriage is very individualized – everything is pooled and co-mingled. All of my income goes to savings for both of us (individual and joint), and all of Nick’s income goes into his account… from which I pay all of the bills. He pays for all expenses on his Mastercard… but I pay his Mastercard bill. I only use my Mastercard if he isn’t with me. We truly believe, what’s mine is ours and what’s his is ours. The way this paper was determining individualized marriage though was more about household chores and attitudes about women working. Lots of individualized marriages (like ours) still practice pooling. I totally agree with your attitude though! Fascinating work. Thanks for another great post on this topic. AverageJoe recently posted..JP Morgan: Opportunity or Trap for an Investor? Thanks, Joe! Maybe it would be worth reading about how individualized marriages are described and tabulated in the references. Why would what I described as an “egalitarian” setup translate to “not committed”? That could definitely be part of it. I was thinking that the arguably “shared” expenses vastly increase with children, so if you were following a joint vs. individual model the magnitude of your joint money is probably swamping your individual money. I’ll admit, I’m confused. My wife and I pretty much follow traditional roles, only switched. She is the primary breadwinner, while I do most of the chores and cooking. Would that be an individualized marriage? I would think of individualized as the pair operate independently. That doesn’t describe my marriage at all. I don’t think yours is individualized, it’s just that you have the traditional gender roles reversed. It still largely fits the breadwinner-homemaker model.